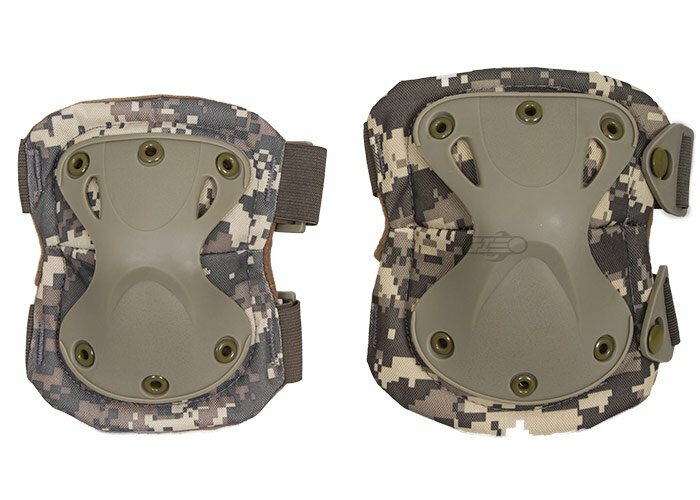 The Emerson Tactical Quick Release Elbow & Knee Pad Set. The hard plastic layer shaped like an hourglass on the outside of the pad creates a reinforced protective layer that also bends with the arm or knee. The padding behind the hard plastic is a soft cloth is padding between the external layers, protecting the knee or arm from light impacts away from the hard plastic. 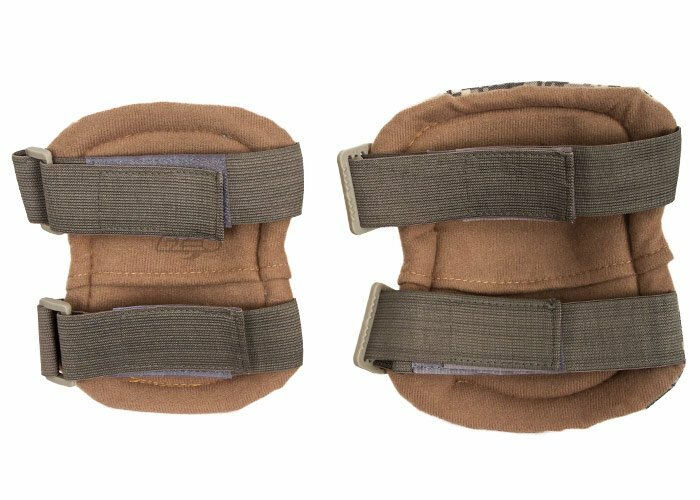 The straps to secure the pads to the wearer are made of elastic so they stretch and secure with Velcro panels.